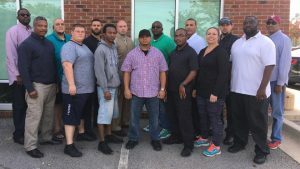 As a continuation of last week’s blog of student reviews from the BPI Seven – Day Executive Protection Course in Atlanta, Georgia I want to highlight some of the other students that wanted their perspective to be seen by my subscribers on this blog. Each of them just like last week’s students came to the class with varying levels of training already on their resume. By the time we left some agreed among themselves that some of their previous training should probably be removed from their resume. I can’t be mad at them at all because there is far too much junk out there. When I first signed up to take this course I did not know much about what to expect, but I knew it was going to help me be a better executive protector. I waited many months for the opportunity to learn everything I could and was eager to be a part of this course. From the moment of our first class I knew there was a lot to learn. There is much to know about executive protection and I knew at that moment I was going to have to focus and pay close attention. This course has helped me learn to think ahead of our plans to be better prepared and to be able to anticipate different possible outcomes to each scenario. I learned about many specific ways to do things and was trained to think a certain way so that I will always be prepared in any given situation. There are many things that I had not realized before that I should be prepared to handle what this course taught me. I understand just how vital each position is and I learned how to fill each position when needed so that no matter what the circumstance is I will be able to fill any role that I may find myself in with knowledge and confidence. I was taught the fundamentals on how to properly take care of a principal. I understand the differences there are now between bodyguard, security, and Executive protection. I was shown that it is constantly important I know my surroundings but equally important to know how to communicate to the other team members so that we can anticipate each other’s movements in sync with each other for maximum results and a safer less stressed situation for a principal. This course has better prepared me more than I could have ever imagined. I now have a much better understanding of profession I am in and to perform the task at hand more than I was ever before. With more time in the field utilizing what I have learned in this course I am certain I will be able to develop my skills to be a better specialist within my profession. I am grateful to Eric Konohia and Avery Mitchell for providing this course and sharing their knowledge and skills. It has been an honor to have been a part of this course. I was selected to attend a seven-day Executive Protection Course offered by BPI in Atlanta. Dozens of potential students were turned away to preserve the small classroom setting. Let me start by saying that this class is not for the simple minded or the thin-skinned. This course dissects the many responsibilities of an Executive Protection Specialist. The course is strategically broken down to the theory, principles, and the science of Executive Protection. This course also addresses the misconception of Executive Protection and how the so-called “Industry Leaders” have provided a disservice to those who have a flawed sense on what Executive Protection is supposed to be. BPI has recognized that the industry has been inundated with poorly trained and ill-equipped individuals who call themselves Executive Protection Specialists. The coursework in this program explains in detail the true meaning of Executive Protection. This fast paced course is broken down into several modules which first explains what Executive Protection IS NOT. Then the course carefully defines the expectations of an Executive Protection Specialist and the personal characteristics that are needed to build a foundation for success. The course progresses through intense lectures followed by practical application of different concepts using real world scenarios and current events. The instruction was brilliant. Information taught in this class isn’t taught anywhere else. I was very impressed with the curriculum and also the amount of intricately detailed information that was provided. What separates this program from others is that not only was there instruction on how to become an Executive Protection Specialist, this course also talks about how to successfully run an effective business. The ETHICS taught in this course alone was worth the price of admission. BPI takes into careful consideration its reputation for being world renown in Executive Protection, which explains the highly selective process of choosing its students. Oh yes I forgot to mention that this course is taught by Eric Konohia CMES CMEPS and President of BPI. Mr. Konohia’s reputation precedes him. His passion for this industry is evident the moment you meet him. BPI is a fully functional, operational business and for Mr. Konohia to set aside time from his busy schedule to come to Atlanta to teach this course speaks volumes to the deficiencies that are present in the Executive Protection industry and his crusade to help standardize the industry and to restore the prestige of what Executive Protection SHOULD be. Like I mentioned earlier, the ethics that are taught in this course is tremendous. However, the active real world training Mr. Konohia incorporates is priceless. To get real world instruction from the world leader in this industry was an honor and a privilege. My career has instantly taken an upward trajectory after taking this course. This course is truly an investment to those who want to take this career seriously. Mr. Konohia has mastered the CRAFT of Executive Protection and his method of teaching is second to none. BPI is the Gold Standard that many should take note and follow. I highly recommend BPI to get a full comprehensive course in Executive Protection. There simply isn’t anyone else in the world that will teach you how to be an Executive Protection Specialist, grow your business, and become RESPECTED in this field. So much wealth of information was being poured out and provided to us that I was just worried about taking good notes so I could reflect on later that evening. However, the next day, and the following day, it was as if a lightbulb went off in my head, and all the notes that I wrote along with listening to Mr. Konohia reiterate the key principles, and theories of Executive Protection, began to click, and at that point, I began to feel that I belonged in that classroom. One evening, after class, I came home studied my notes, and then began to review ALL the BPI video blogs on You-Tube of Mr. Konohia addressing various topics; most of the blogs, although comical, provided a good sense of what was going on in the industry and his views on them. During watching the videos, I was able to formulate several questions that I was eager to pose to Mr. Konohia the following morning. As the days went on, everything we were being taught in the classroom, began to take fruition and I was able to begin grasping the information, retain it, and most importantly, actively participate in the numerous scenarios we were required to complete. As the week progressed, I was certain that the Executive Protection videos I’ve been watching and the various Facebook groups that I’m associated with, were NOT giving me the correct information. In addition, we were also graced by the teachings of Executive Protection for Celebrities, provided by Mr. Avery Mitchell. I must say this part just took me into “EP Overload”!! 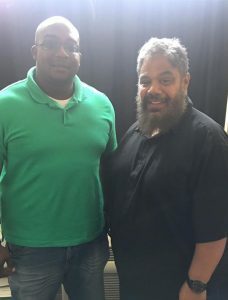 We were provided with the BEST of Both Worlds, when these two Decision-Makers (each a giant in their niche) continued to give us valuable “nuggets” of information that is not being taught anywhere else. When we collectively performed our final practical, and completed our post-test, I knew then that I had become a “SEPARATOR”, and I believe that with the increased knowledge that I retained from these two “JUGGERNAUTS” in the industry, that I came into the class as “EP Clueless”, however left confident, with my head held up high as an “EP Specialist”. Mr. Konohia, I want to thank you for taking the time out of your busy schedule to provide myself and the other 13 students with the wealth of knowledge you poured out into our vessels, and I can’t wait to work with you in the near future. First of all, I would like to thank Mr. Eric Konohia and Mr. Avery Mitchell for exceeding my expectations for the Atlanta 2016 /BPI 7-day Executive Protection Specialist class they taught. I went into the course thinking it would be a typical class in a setting where you simply sit in with others and listen to several lectures; after which you would casually go through a few simple drills. Then upon leaving, receive a pat on the back along with a smile while they count your money. This was definitely not that kind of class. Together these two men have over 40 years combined experience. Mr. Konohia is the president of Bulldog Protection, LLC. He has a background in law enforcement, investigations, security services and consulting. Mr. Mitchell is the CEO of World Traveler. His specialty is in celebrity protection. 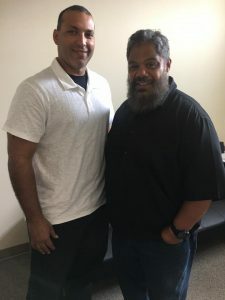 These two instructors love what they do and they have an unequaled passion to make their industry the most elite, absolute best it can possibly be. Anyone who has ever known me knows that I am not so much of a note taker, but during the week I spent in this course, I easily filled up a single subject note book with invaluable instruction. I wrote everything I could possibly write. I would have very much liked to have had some instructor notes to take with me for future review after the course was completed since the information given during the week was so richly abundant. I learned so much practical information and techniques in this class. The methods, movements and maneuvers where practiced over and over again until each student was comfortable. This course was designed for anyone from the most basic beginner with no experience on up to the novice protection specialist with moderate experience. As iron sharpens iron, so this course sharpens us as executive protection specialists. Mr. Konohia stated that BPI is not in the business of instructing, but as he noticed the need for further instruction in the industry, his passion compelled him to provide an essential, relevant training course such as this class to improve the executive protection craft. The best part now is the relationship that we have established with these two instructors. The relationships are not just that of students and instructors, but that of brothers in the industry and it is only the start of a relationship that will be on-going and continue to grow. The level of connection with the instructors is second to none. 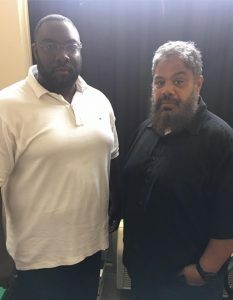 Even at the level of business they are doing on a regular basis, Mr. Konohia and Mr. Mitchell have been in consistent contact with us, ready to answer any questions we may have. I respect and value their advice and look forward to working with these two gentlemen – the best in the industry at their niches! My Net-Worth is growing because my Net-Work has two of the best protectors the industry has to offer! I am a lifelong martial artist and have spent most of my career in finance and security. While working in finance I had the opportunity to be mentored by one of the best in the business and see first hand how teams of executive professionals work. I also got a unique view of working in security at some of New Yorks biggest clubs and getting regular hands on experience in dealing with VIPS and observing how their executive security did or did not work well with the clubs own security and see the importance of communication between the different teams. Having had the opportunity to work and learn a wide variety of skills in the different types of employment I held, it has driven me to this desire and passion to work in the Executive Protection Industry. I have spent the last year researching the industry, networking and developing relationships with individuals in the business. Along the way, a few names kept coming up over and over. Two of those names are Eric Konohia and Avery Mitchell. By taking my time, paying attention to these two names and where they continued to show up during my research, it insured that I did not make a bad choice to rush into a business based on hear say and a few limited veiwpoints. It allowed me to have a broader view of what Executive Protection is really about and the proper skill sets required to be in the business safely and with honest knowledge. 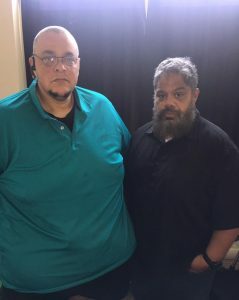 I also had the privilege to be the course hosted by Steven Turner who is a monumental asset to the business, an amazing protector and a BPI approved vender. Once I saw that they were doing this course, I did everything I could to make the right connections and get my name out there so that I could be fortunate enough to be chosen to be a part of this remarkable class. In this class there were many people with varying degrees of knowledge and work experience. Although I do not have as much hands on experience in the Executive Protection area as many of the others in the class, my experience in finance and nightclub experience, coupled with my lifetime of martial arts training by an amazing teacher that was involved in what I believed at the time to be Executive Protection, I was sure I had an idea of what Executive Protection consisted of, and this gave me my desire to be in the industry with the highest level of knowledge available. I now know that even though he was ideed protecting some of the biggest names in the music industry at the time…he is a highly skilled martial artist that was also working as a body guard, this was not Executive Protection. Because of taking the BPI course with Eric Konohia and Avery Mitchell I now feel confident that I have the tools necessary to work alongside any properly trained unit in most any position. Eric and Avery’s obvious passion to streamline this industry and make it safer by using stringent and thorough teaching techinques and consistant terminology, makes me beyond grateful for the opportunity to take the BPI Executive Protection Specialist course hosted by Steven Turner. Breaking into this industry, I couldnt be more fortunate to have had the privilege to do away with any preconcieved notions and stop myself from creating any bad habits by throwing myself into the industry without the once in a lifetime BPI course. 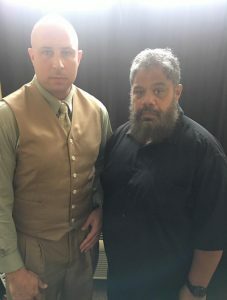 Anyone can call themselves an Executive Protection Specialist, but until you have taken the BPI course and learned from the leaders and the best of the best, you really have no idea what that means exactly, I do now. I highly recommend this course to anyone, no matter your level of experience as you will elevate your knowledge, confidence and you will gain an immense respect for BPI and what they are doing for this industry. The time, energy, effort and amount of personal dedication to each person in the class that all three of these men showed, including going to the lengths of creating a mock detail for us to carry out using the tools they taught us, was priceless. It was and is an inspiration and I thank them. I know I made the right choice as their passion for this industry and continuing to help develop future specialists is the mark of true professionals. They said this class would be the separator. I didnt know what that meant the time, but I do now. After the BPI course we can all seperate ourselves from the people that call themselves Executive Protection Specialists and what we are now, the true Executive Protection Specialists armed with the knowledge this course, these men and BPI provided for all 14 of the men and women that had this privilege and are now armed with insurmountable and irreplaceable information. Thank you seems unbelievably inadequate, but my thanks go out to Eric Konohia CEO of BPI Security, Avery Mitchell and our host Steven Turner. I am grateful to have had this opportunity and am excited to continue on this journey. Eric we need another training like you had 2 weeks ago. I missed the class because I was on a detail, but I’m not missing the next one. We need another one with the same instructors……..